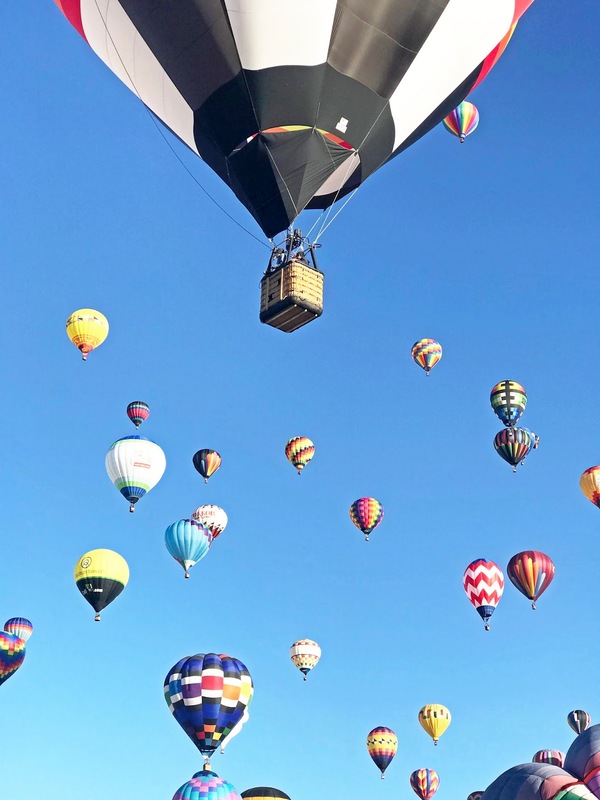 This past weekend I had the opportunity to attend the world’s largest balloon fiesta in Albuquerque, New Mexico. It was truly an amazing, magical and beautiful experience – and I’d do it again. 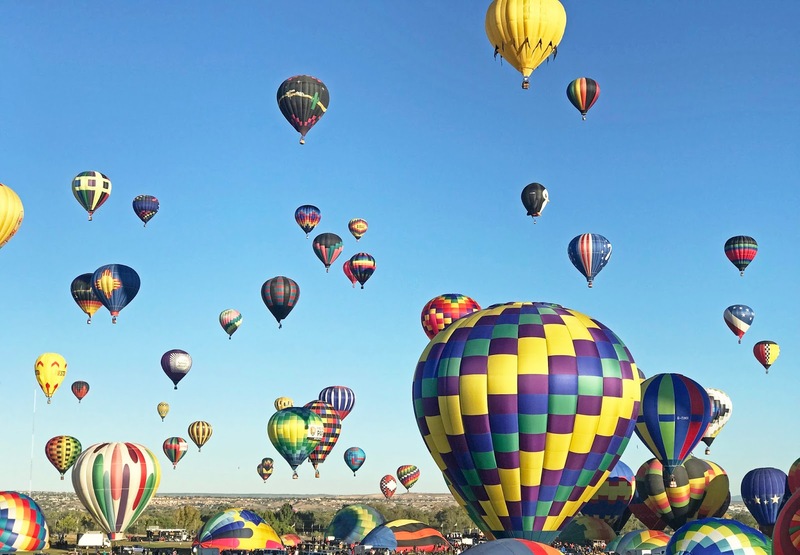 Every year, thousands of balloon fans and tourists alike come together in Albuquerque to attend the International Balloon Fiesta, also known as the World’s Premier Balloon Event. Truth be told, I have never heard of this event, until a few months ago when I was invited by their media group to attend the Balloon Fiesta in October. 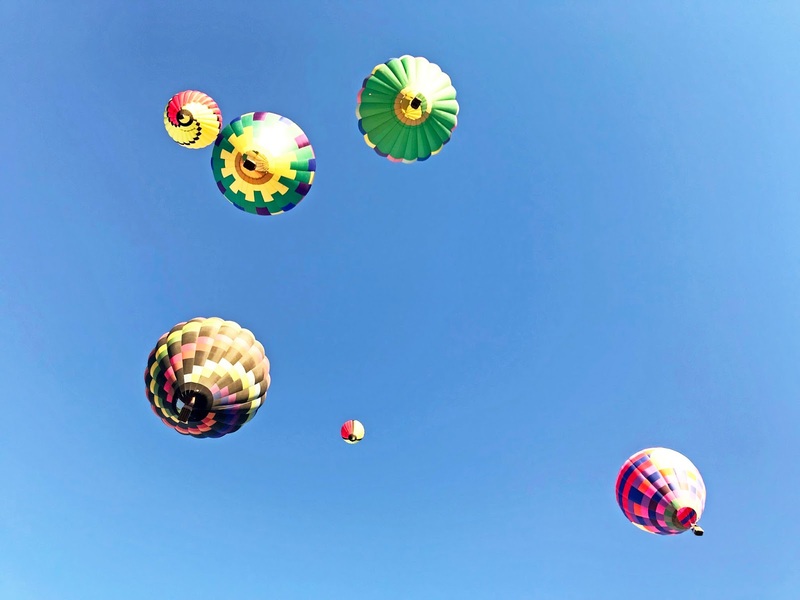 I have always wanted to ride a hot air balloon – it has been on my bucket list forever; so I decided to do some research on it. The festival would be something new and unique – therefore I decided to accept the invitation and plan my next travel trip to Albuquerque, New Mexico. 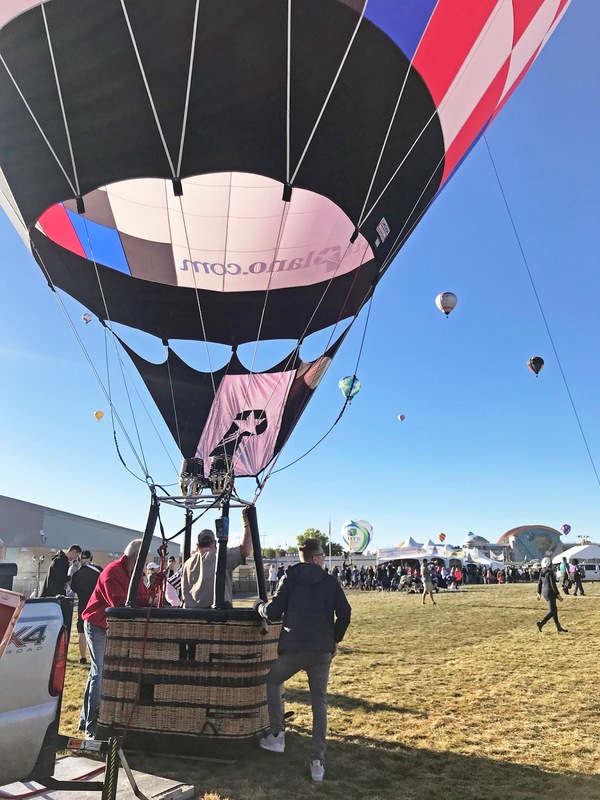 The 46th Balloon Fiesta is 9-day event that takes place from October 7th through 15th in Albuquerque, New Mexico – I attended the second weekend from October 13th – October 15th. 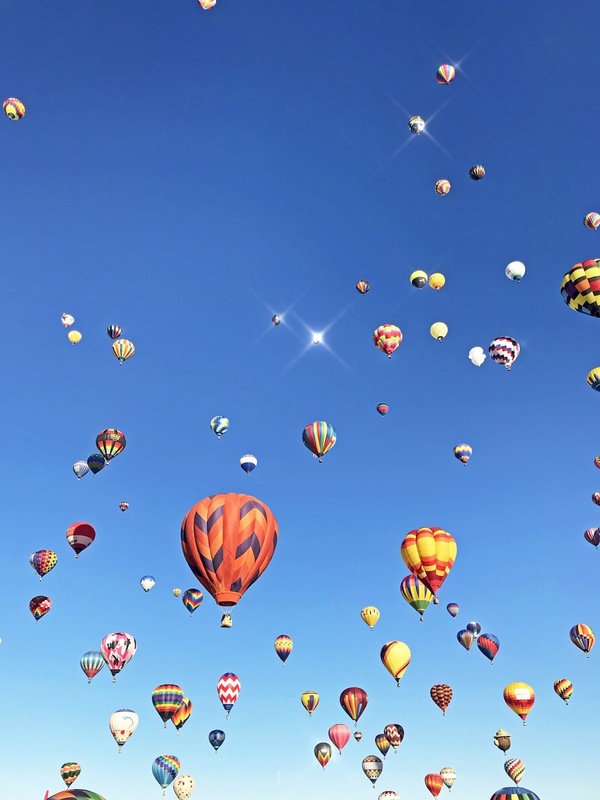 The Balloon Fiesta attracts 550 balloons from around the world, filling New Mexico’s clear blue skies for nine days. During the 9 days, the fiesta has daily events that take place, view here. If you are visiting and don’t have a car-rental; no worries, the festival offers complimentary shuttles that run daily starting at around 3:30 AM (I believe, don’t quote me) and run throughout the entire day. Please view more information on it here. Uber and Lyft are also options as well – my friends and I used this for the majority of the time. Last Friday (10/13) myself and a few of my crew joined me on my trip – we had a late flight that was delayed by a few hours. We arrived at the Wyndham Hotel around 2:30 AM; and since we had to leave only a few hours after that we decided it would be best to just stay up! We quickly settled into our room, got ready and were headed to the balloon festival around 5:30 AM. We arrived just a little before 6 AM – to find out we were too late to sign up for the hot air balloon! – The lady at the front was kind of rude about it too, which was unfortunate as that was definitely one of the main reasons I wanted to attend the festival. I signed up any way, but did not make the cut. That morning, we enjoyed breakfast in the media tent, patiently waiting for the mass ascension. Around 7:30/8 AM is when the balloons started ascending – and it was seriously such a beautiful experience. From colorful, bright balloons to character shaped balloons, it was a “non-stop” picture taking moment. We were situated at the media’s photography tower; where we had the opportunity to take such amazing shots of the balloons. After the mass ascension – which ends around 10/11 AM; my crew and I walked around a bit and explored the rest of the area. There’s a bunch of food vendors to choose from, as well as little shops. The festival has an in between break – so we decided to explore the city a bit. Then we came back around 4 PM to watch Billy Currington play, and enjoyed the rest of the evening’s events. The evening has more fun events to enjoy such as the Laser Light Show at 7:45 PM and the AfterGlow Fireworks Show at 8 PM. 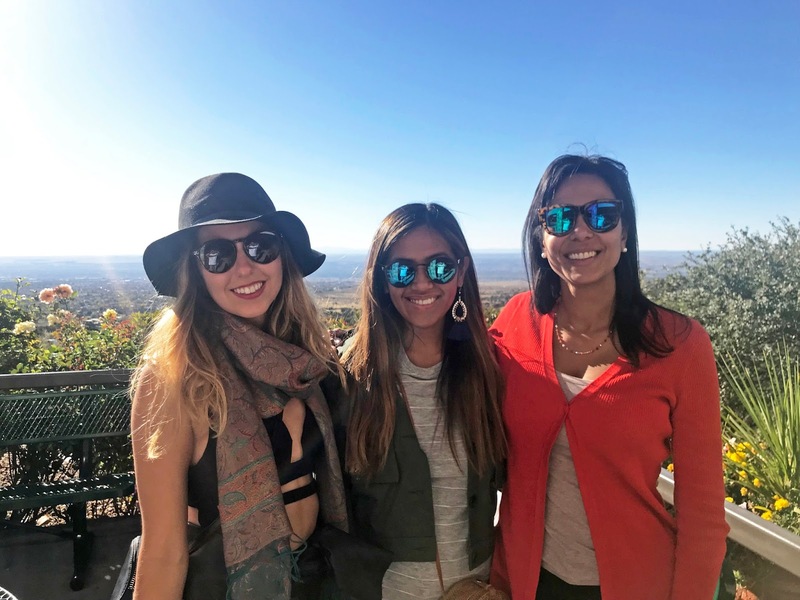 We were in Albuquerque for two days but only spent one full day at the festival and the other exploring the city! Early Bird: Most of the events occur EARLY AF!!! Ha, so if you’re not an early bird (like me) you are basically screwed, lol. The first show starts as early as 5:45 AM, however, to beat the traffic and get parking you must leave your hotel/house by 3:30/4 AM! So try to get enough rest the night before in order to get up the next morning. Mass Ascension: You HAVE to GO see the Mass Ascension - this had to be one of my most favorite/highlight of the day. It's also a great photo opportunity! It starts at 7 AM and it's not one to miss. 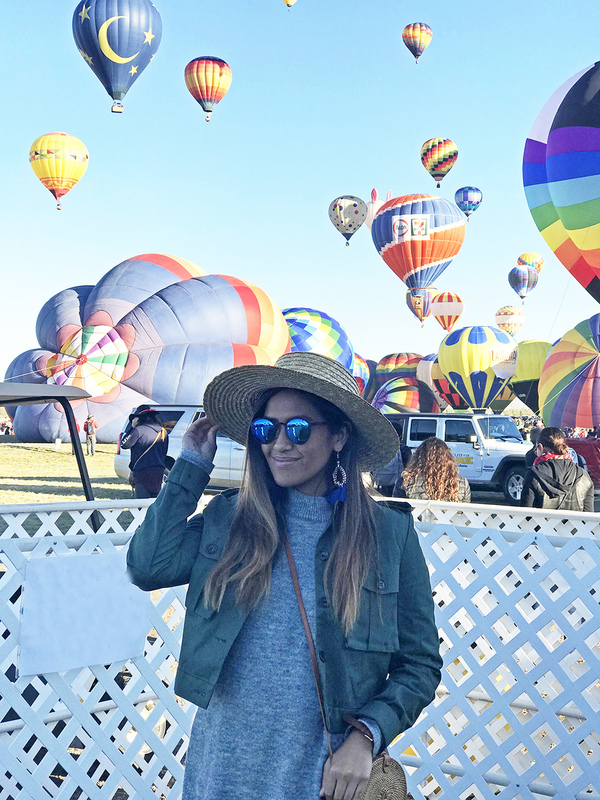 Ride a Hot Air Balloon: Though I did not get to ride one this year, it's definitely a MUST! 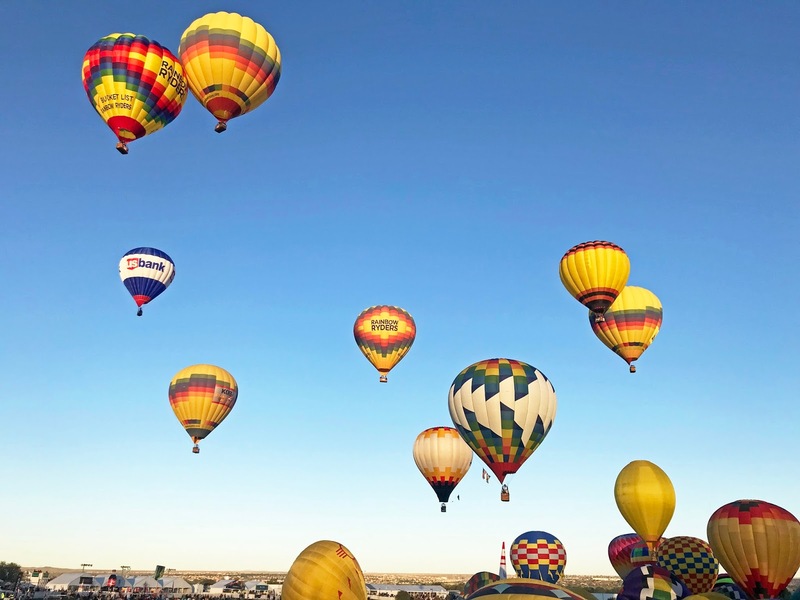 If you are in media and want to ride a hot air balloon make sure you get there by 5 AM to sign up but according to the lady, it also depends on weight, balloon availability and brand status. If you are just attending the festival, you could also reserve your spot by paying $300 per person, or if you know any of the balloon pilots - they may just take you! Food: Be prepared to not be healthy - the festival only has fried and fatty foods; however, you have the option to bring your own snacks and food. Dress Warm: New Mexico is COLD - especially in the mornings, the temperatures were as low as 40's and if there's wind, it feels colder! Make sure you come prepared and wear a ton of layers that can easily be taken off - because during the day, the temperatures can rise up! 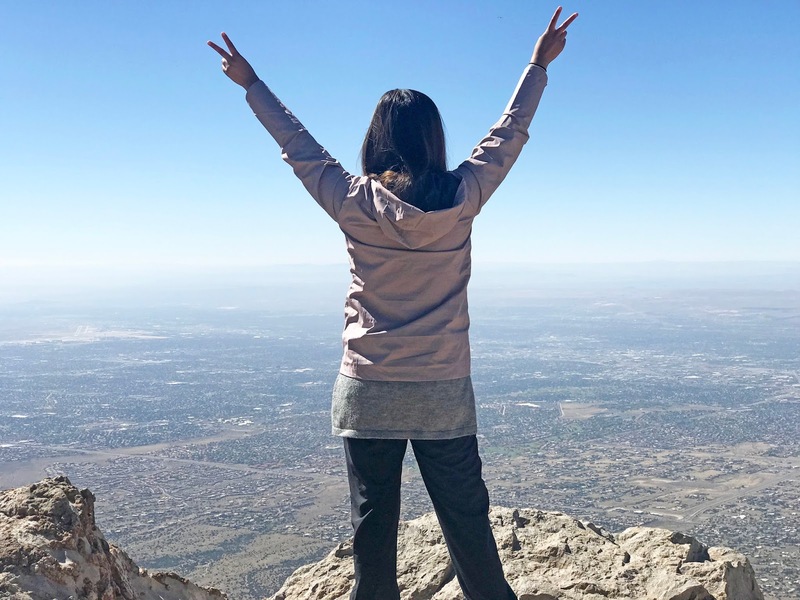 Explore Albuquerque: Besides the festival, you must explore! It may be a small city, but there's a good amount to do in between festival breaks and at night! 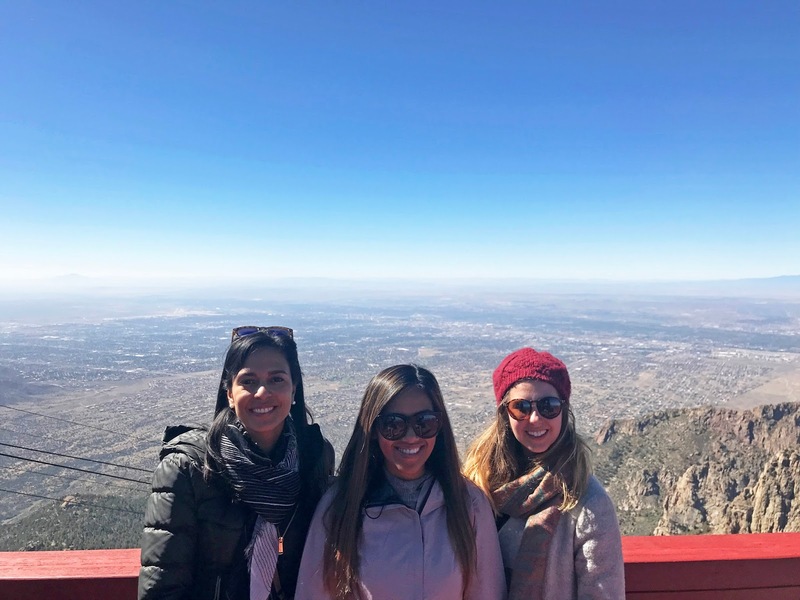 Sandia Peak Tramway: Only minutes away from the festival lies an aerial tramway, and is the longest tramway in the United States.On our second day in Albuquerque, we took the tramway to the top of the mountain - 10,378 feet up high. Old Town Albuquerque: A little town founded in 1706 offers tourists and townees a variety of shops and restaurants. Albuquerque BioPark: Experience a selection of fun activities such as exploring the zoo, botanical gardens, Tingley Beach and aquarium. Overall, the balloon fiesta was a success! It was an unbelievable, breathtaking and nothing like I have seen before experience. I'm so glad I went and I would totally go again. Though we did not get to ride a balloon this time, one of my friends found out her cousin's friend flies balloons and since we did not get to ride on this season; he promised he would take us a different time! 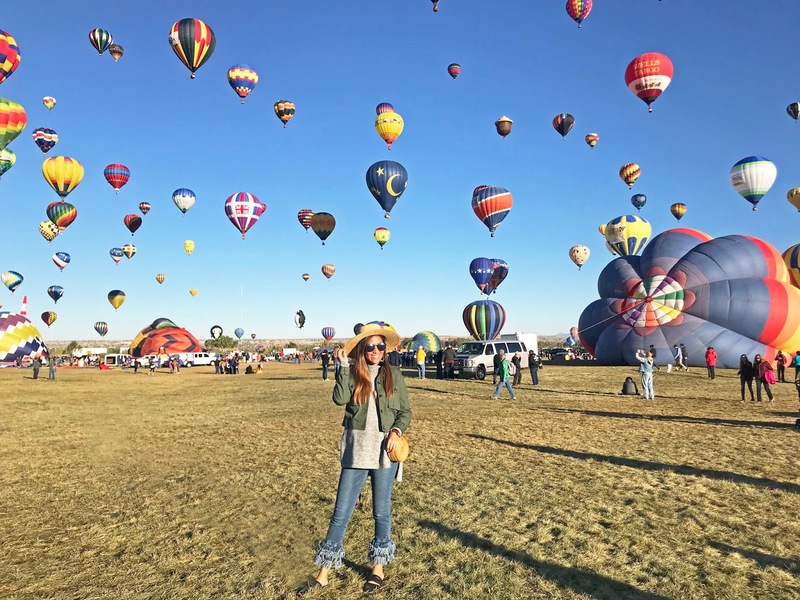 If you love an adventure, and are looking for something new and unique - the Balloon Fiesta in Albuquerque is a must to check out next year!! Thanks to the Balloon Fiesta team for hosting my ticket and experience! As always, my opinions are my own.